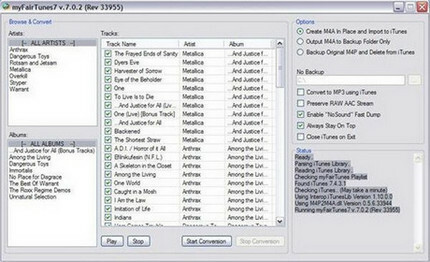 Before 2009, iTunes music files are encoded with “FairPlay” DRM protection; most of them need to pay. And even Apple has removed DRM from iTunes music, the iTunes M4P music now is free, what you have purchased during that time are still protected by DRM. These M4P files can usually only be opened with iTunes and the computer must be authorized. If you purchased any M4P music file between 2003 and 2009, and want to play these M4P files to other devices without using iTunes, like MP3 player, Android Smartphone, PS4 and the like, but still be troubled by the restriction of DRM. Don’t worry, here the article will introduce 6 best M4P DRM removal software or M4P converter to help you remove DRM from these M4P files, and convert them to MP3 format for freely enjoying. iTunes DRM Audio Converter ( For Mac & For Windows) is a professional M4P converter and Apple Music Converter which is specialized in converting iTunes M4P Music, Apple Music songs and audiobooks to DRM-free MP3, M4A, FLAC or WAV. It can legally remove DRM from M4P music files, Apple Music & Audiobooks to help you listen them on your iPhone XS Max, iPhone XS, iPhone XR, iPad Pro, iPod, Zune, PS4, MP3 player offline. Remove DRM from iTunes M4P music to MP3, M4A, FLAC or WAV. Convert M4P files, Apple Music files to MP3/AAC/FLAC/WAV. Convert any audio at 20X faster speed with lossless quality. myFairTunes is a free Windows M4P Converter which enables iTunes users to remove their FairPlay DRM from M4P music purchased before 2009. It can convert iTunes M4P music files to DRM-free MP3 that can be used for playing on any MP3 players. It is very simple to use, when you run the MyFairTunes on your computer, it will search your DRM-protected M4P tracks, then just click Start button, and this app will convert the M4Ps to MP3 format. The file size is only 375KB and can be used for low-end computer systems. It needs Microsoft .NET Framework 2.0, making it difficult to install. Aimersoft DRM Media Converter is a multifunctional DRM removal tool, which can bypass DRM protection from both videos and audios downloaded or purchased from iTunes. Price:$35.95 for lifetime free upgrade. Tune4win M4P Converter is a specially-designed M4P to MP3 Converter to help people convert DRM-protected M4P, M4B, M4A songs you purchased on iTunes to plain MP3, AAC or WAV formats. Available in Mac and Windows. A little bit expensive at $39.95 for merely an audio DRM removal. 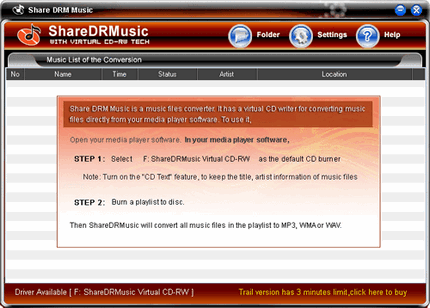 ShareDRMusic can convert any music files in format like M4P, M4A, WMA, M4B, WAV, MP3, WMA to plain MP3, WMA, WAV files. Don’t need any special hardware. Uses a lot of computer memory, cannot run other program at the same time while converting. QTFairUse is a free M4P DRM Removal tool for Windows that can be used for DRM removal and conversion from iTunes M4P to unprotected M4A to be played on Apple devices. Converts m4p to m4a format. Simply drag and drop for batch conversions. Cannot choose settings for music quality, size, etc. A little difficult to use. Also has no upgrade and is incompatible with iTunes 8. In our 2018 review of the best M4P DRM removal tools, we collected 6 great M4P DRM removal tools that we could recommend with. But your choice is depended on your own analysis, up to your real need. If you just want to remove DRM from some of your M4P files, there are two freeware, myFairTunes, QTFairUse, you can download them for a try. 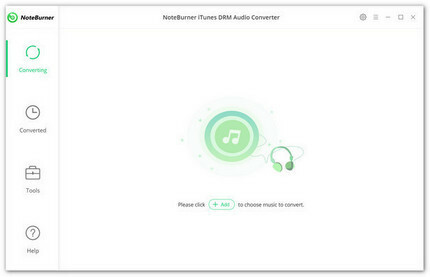 But if you also need convert Apple Music songs or other iTunes music, audiobooks, NoteBurner iTunes DRM Audio Converter is highly recommend. It will help you convertany audio which can be played in iTunes to MP3, AAC, FLAC or WAV at 20X faster speed with lossless quality. speed, high audio quality, ID tags keeping; these all makes it the best M4P Converter and Apple Music Converter in the market.